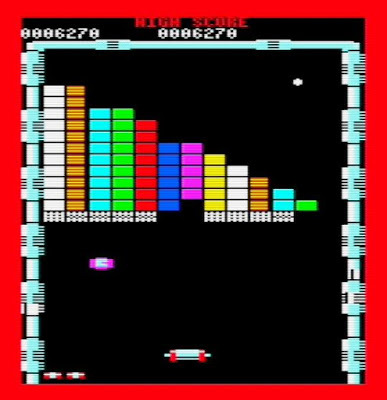 Indie Retro News: Arukanoido - Arkanoid clone for the Commodore VIC–20 teased! 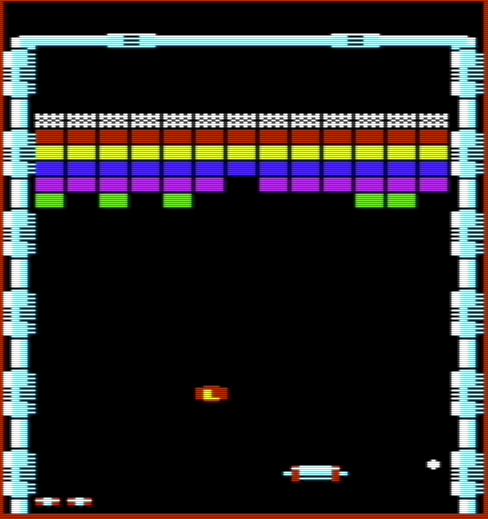 Arukanoido - Arkanoid clone for the Commodore VIC–20 teased! It's nearly midnight here in the UK, but just moments ago via Facebook, Sven teased the first screenshots of an in-development Arkanoid clone of ' Arukanoido ' for the Commodore VIC-20 with at least 24k memory. Now if you remember Arkanoid; an arcade game first developed by Taito in 1986, with the bat like device scrolling from side to side at the bottom of the screen, bouncing an orb back and forth and smashing blocks for a high score, then keep eye out for this game when it hopefully comes out this year with music by Adrian Fox! Already there is an early version available to download and play right now although the creators Pixel Productions have said the game does have a number of features missing, runs at 50 fps, but with all 33 levels it'll need at least +3K memory. Still if you can wait till the game is complete, it looks like it could well be a great Arkanoid clone with Joystick support!